Italian tank designers had focussed on the needs of the army for a tank suitable for mountain warfare as well as for colonial use rather than one meant to fight contemporary European vehicles. As a result, the production of their first modern gun-armed tank was slow in coming. The Italians had evaluated and done some experiments with some other European tanks, most notably the British Vickers 6 ton tank. 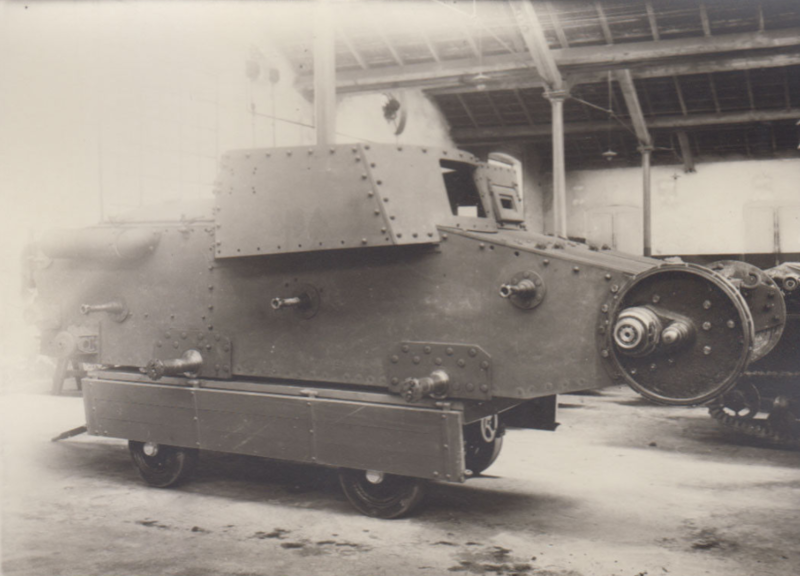 Ansaldo had even built a 9-tonne vehicle based on a British casemate design, which had later been modified with sprung suspension, all leading up to the design which became the M.11/39. 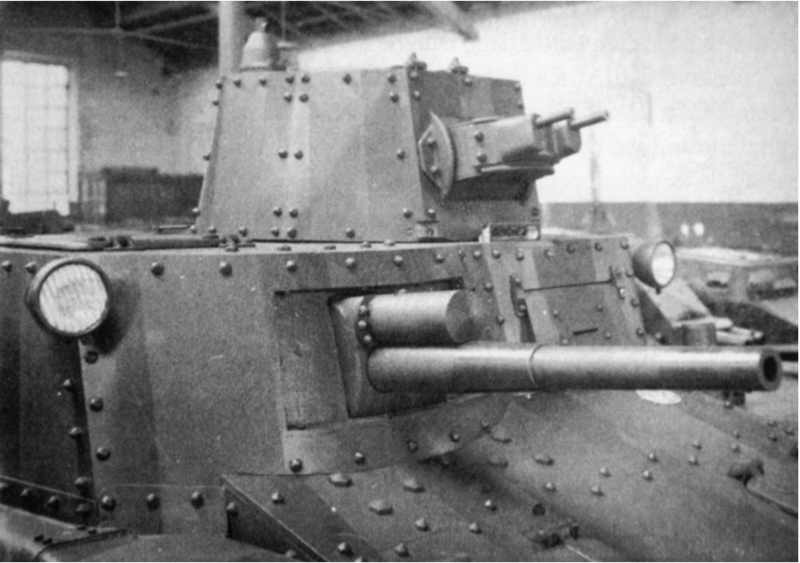 In 1936, the Italian Army issued requirements for a tank with a 3 man crew, a 37mm L.40 gun mounted in the hull and two 8mm machine guns in the turret. 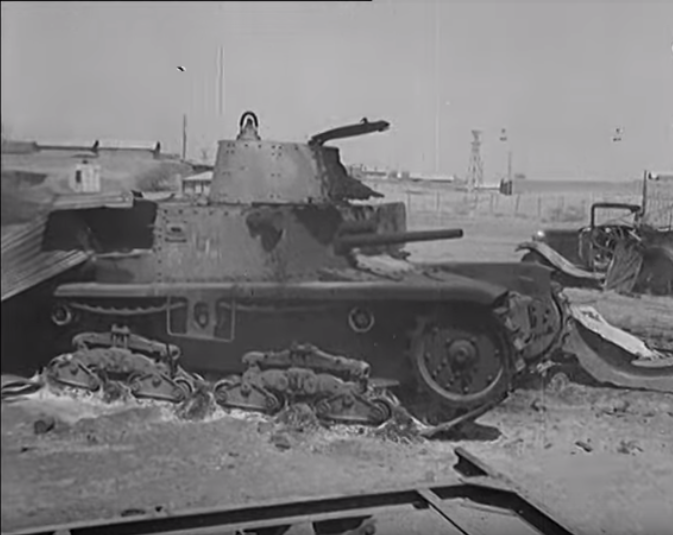 As it would not be fighting tanks, the vehicle only needed armor to be proof against armor piercing ammunition from small arms and 20mm cannon fire. This new vehicle was set to replace the very outdated Fiat 3000’s the Italian Army (Regio Esercito) was still operating along with the CV.3 light tanks. An initial prototype was made in 1936 but was abandoned in 1937. The essential layout and suspension design of the prototype were retained though for development of a new 10-ton tank. 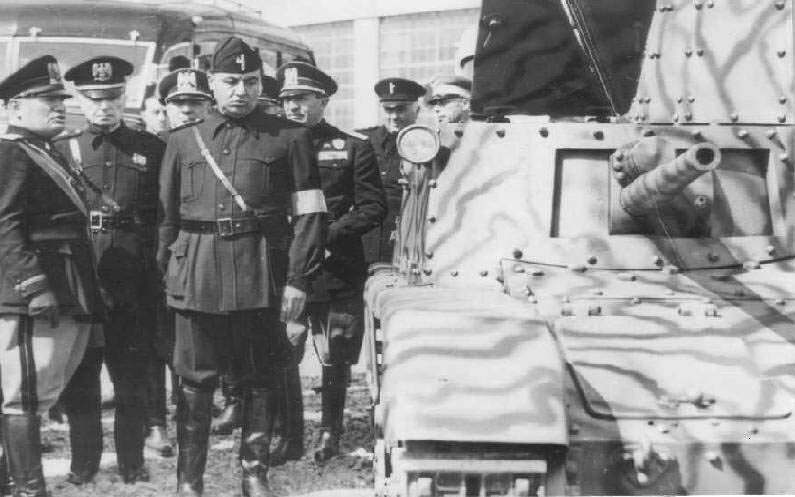 Despite it being obvious for years that tanks armed with cannons rather than machine guns were needed, it was not until May 1938 that the Italian Army officially decided that gun-armed tanks were going to be essential to its new armored division makeup despite years of experimental development beforehand. This was a time in which the Italian army was being modernized with a new structure and part of this restructuring created an armored division consisting of three medium tank battalions and a single heavy tank battalion. The drawback was that, other than the brand new 10 ton tank design, they had no medium tanks and no heavy tanks at all. The bulk of the armored fleet for the army was still being filled by the CV.3 light tanks instead. The other project, a 7 tonne medium tank design had still not finished either, although that eventually became a light tank to replace the CV.3. This new 10 tonne design was ready by May 1938. It had evolved directly from the Carro di Rottura da 10 tonne which had been trialed in 1937 and then extensively modified. 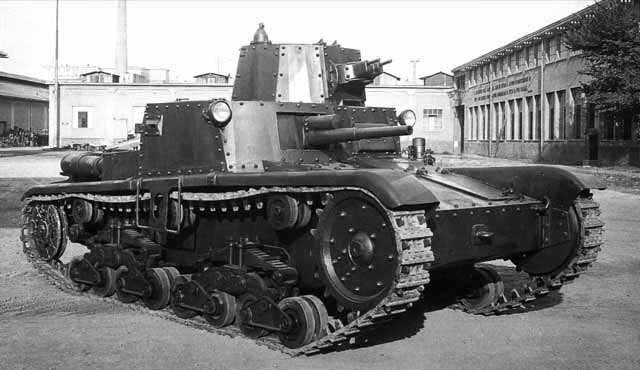 This new 10 tonne vehicle was to become the first M.11/39 but was still being known as the ‘Carro di Rottura 8T’ at the time (8T because the engine was the Fiat SPa 8T – not because it weighed 8 tonnes) and was registered by the Army as ‘RE2576’ (this particular vehicle was later inspected by Italian leader Benito Mussolini in October 1938. This vehicle was ideal for what the Army wanted from a medium tank, a pair of machine guns mounted in a turret and a 37mm gun or 47mm gun mounted in the hull, an operational range of 12 hours, and capable of 30-35kph. It had grown a little heavier than the original 10 tonnes though and was now an 11 tonne vehicle. As it was a Medium tank weighing 11 tonnes and expected in service in 1939, it was given the name M.11/39 (Medium, 11 tonnes, 1939). 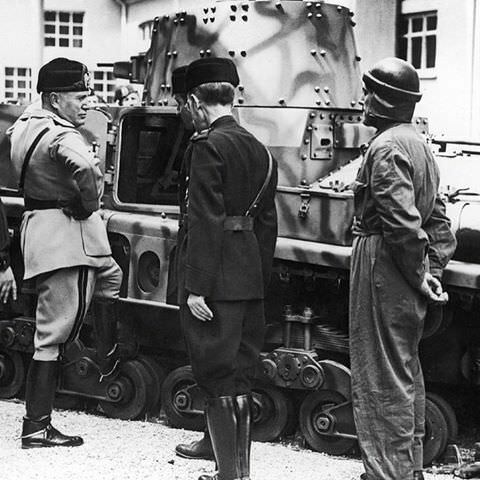 The choice of a 47 mm gun as the main armament for medium tanks was finally confirmed in a meeting between General Pariani and Agostino Rocca (a director at Ansaldo) of the 25th September 1939 in preference to the 37mm gun. The Italians therefore had the tank they wanted for the medium role, but they did not have a heavy tank. 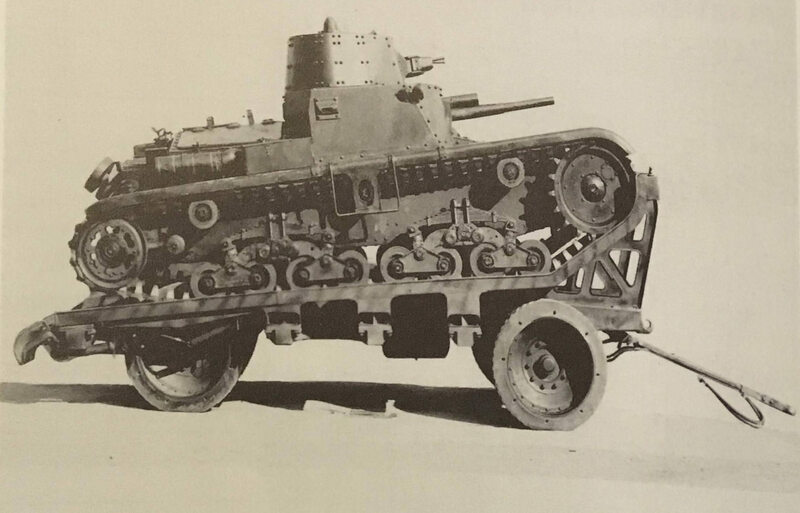 The Pesante (P – heavy) tank wanted in 1938 was a 20-25 tonne vehicle, capable of 32kph, 10 hours range of operations and a 47mm gun in a turret along with numerous machine guns. That requirement was going to prove a lot more tortuous to fulfill. In the absence of any heavy tanks for their armored divisions and with this new tank being available for production by December 1938, the Italian Army ordered 100 M.11 tanks in mid 1938 which were to supposed to be ready by November 1939. This could be followed by potential orders for up to 450 more depending on whether an improved medium tank was available by that time or not. The first M.11/39 did not roll off the production lines until July 1939 though, over a year after the order was first made. This first production of M.11/39 was not going to feature a radio. The vehicle presented to Mussolini back in October 1938 had been fitted with an RF 1CA radio but the remaining 99 vehicles were not fitted with a radio and crews would instead have to rely on signal flags to communicate. By the start of World War 2 in September 1939, the Italian Army had only received 96 of these new tanks and already decided that it needed another 400 medium, and 1,200 improved light tanks. Instead, they had less than 100 medium and over 1,400 light tanks including the mostly useless Fiat 3000’s. 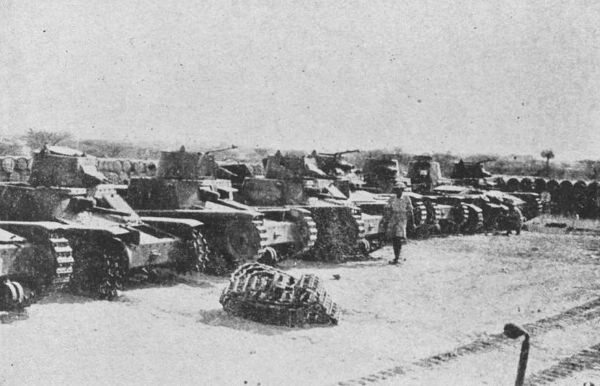 Production of the M.11/39 ran at a slow rate of just 9 tanks per month built in batches of 12. The first 12 vehicles differed from the following vehicles in that they had no oval hole on the inside of the front mudguard. This was a later modification to permit the inspection of the drive sprocket and track for damage or blockage from dirt etc. The vehicle had a crew of 3. 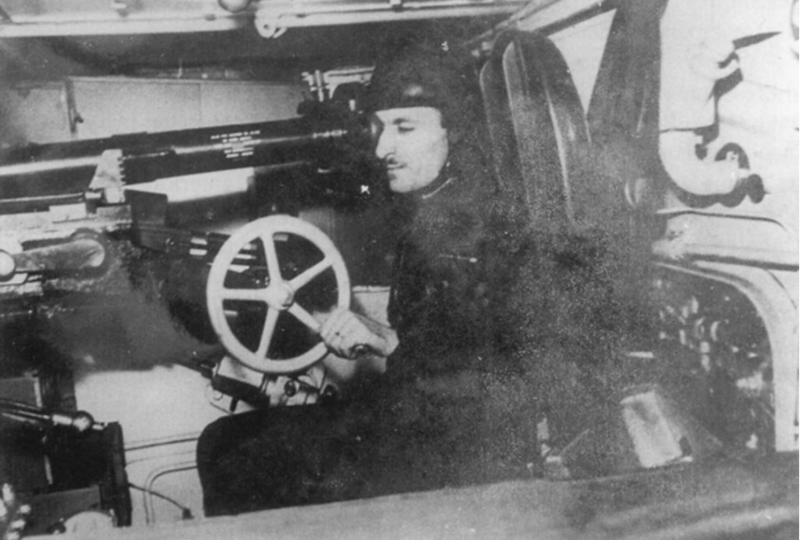 A commander, situated with his upper body in the small one-man turret, a gunner in the front right-hand side of the hull and the driver in the front left. The small turret on top of the machine was offset from the center line by 30cm to the left and had a ring diameter of just 876.3mm (internal). The vehicle was provided with a single 7mm thick hatch in the turret roof hinged at the front with a splash ring and another hatch in the hull roof for the crew. The internal ergonomics were not very good though. The internal height did not allow for the commander to stand fully upright, as there were only 1714.5mm from the floor to the roof of the turret. 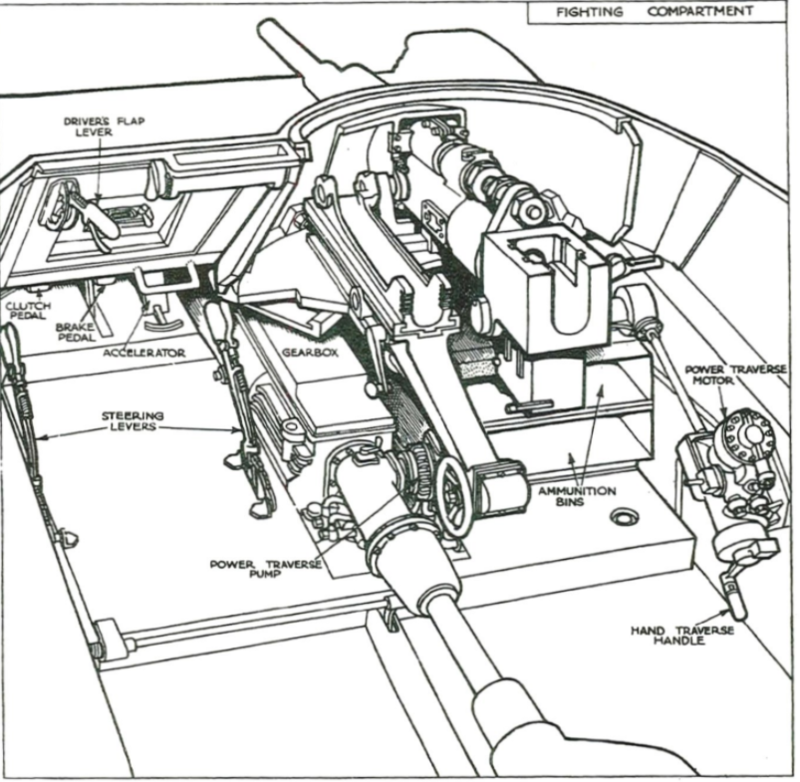 He was also at risk of being struck by the recoil of the gun as explained in an Australian report from 1941 “hull gunner is a very cramped position and in danger of being hit by the revolving turret mechanism. Commander in a cramped position and dangerously near the recoiling breach of the 37/40 gun”. The armor of the M.11/39 was composed of all steel plates bolted together. Countersunk hexagonal headed bolts with a conical top were used throughout the hull fabrication connecting the armored plates to a mild steel framework. A British 1943 report suggests there were some manufacturing problems with the steel on the turret in particular. The plates had been bent in order to be bolted onto the frame, possibly causing a stress fracture which had been welded to fix it. No cast or welded plate was used on the vehicle. The M.11/39 used a Fiat SPa 90 degree Vee type 8 cylinder (2 valves per cylinder) 11.14 litre diesel engine which was an excellent feature of the tank despite producing just 105hp. Some sources state 125hp, which may have been the intended performance rather than the actual performance. The cylinder blocks and crankcase were made from aluminum and had detachable cylinder heads. Upon examination by the engineer Sir Harry Ricardo (who had worked before the war as a consultant for Fiat) he concluded that the design used his patented Comet head and could be developed to produce up to 150hp. The British M.I.10 report looking at the engine was complicated by the fact the vehicle had suffered a serious fire and subsequently arrived both fire damaged and corroded by rust. Even so, it was sufficiently interesting for further examination of Italian engines to be suggested. The engine compartment itself featured two fuel tanks, a main tank and a reserve tank straddling the engine with air filters on top of them, and the radiator at the rear. The British measured these fuel tanks as holding about 150 litres and 40 litres respectively. Due to the very long ranges involved in desert fighting in 1940, some M.11/39 vehicles were fitted with a 23 litre external fuel tank as well. The 190 litres were sufficient for 10 hours / 200 km of operation, and the additional 23 litre tank would increase this to hours 11 hours / 222 km respectively. Air flow for the engine was through a small vent in the rear of the fighting compartment. Air was sucked in through that area and into the engine bay, also providing ventilation for the crew. Air was also drawn in via louvres on the engine bay hatches. The transmission, which was located at the front, was a four-speed box with a single reverse gear. 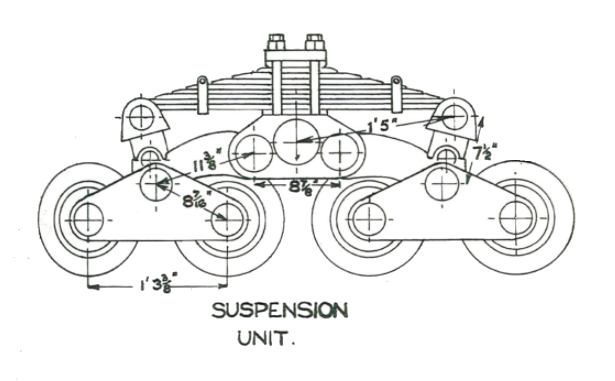 Detail of one of the two suspension units from each side of the M.11/39 showing the two pairs of wheels on their sprung carrier. All dimensions are in Imperial units not standard units. Source: M.I. 10 report. The M.11/39’s suspension consisted of 2 assemblies on each side, each containing 4 wheels. These wheels were 30cm in diameter and were rubber tired by the Pirelli company. The track was supported by 3 rubber-tired (again, by Pirelli) return rollers 240mm in diameter. Springs were made from 10 laminated leafs and no shock absorbers were fitted. The single pin track was made from steel stampings 260mm wide with 80 links on each side and was notable to the British due to how many different stages of machining were necessary to make the track. Track tension was effected by means of an adjusting nut on an arm connected to the rear idler wheel and drive to the track by means of a double driving sprocket at the front. The suspension was assessed by the British to be robust but too exposed to damage with damage to even one wheel possibly crippling the vehicle. The small turret mounted a pair of machine guns mounted coaxially and fired by the commander. Notably, these machine guns were mounted in a gimbal which allowed them to be traversed and depressed a small degree independent of the turret. The main armament was positioned in the hull on the right-hand side and was the 37mm semi-automatic Vickers-Terni gun. This was originally a British gun later built at the Terni plant in Italy. This was an old design and style of gun not well suited for tank-to-tank combat. The example examined by the British in 1943 was marked “Spezia 1918”. The gun, despite its elderly background, was light and compact, weighing just 95 kg. It had a simple falling wedge breech with a single hydraulic recoil buffer mounted on top of the gun. Sights for the gun consisted of a telescope and an open sight graduated for 500, 1000, 1500, and 2000 metres with notches on the sides allowing for wind drift. Because of the location of the gun, the traverse was severely constrained to just 30 degrees in total (although the British report says “approx. 16° each way” making up to 32° total) and an elevation of -8 to +12 degrees. It had both a hand traverse and a hydraulic power traverse (although elevation was manual only) and was fired by means of a foot pedal. Ammunition for the main gun was held in boxes below the gun and a total stowage of 84 rounds was carried for it along with 117 24-round magazines for machine guns (2808 rounds). The hydraulic traverse system was, according to a British report, very good. Compact, simple, and effective without having to use filters and so well engineered that the British believed this system made by the firm of Calzoni had originally been intended for use in aircraft. 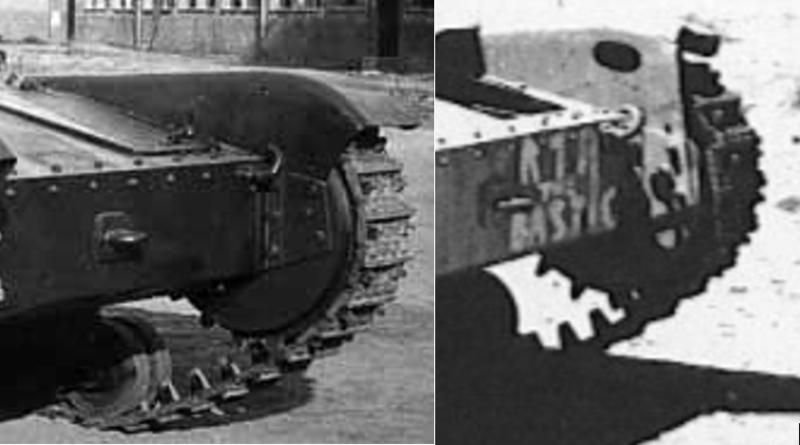 The British were sufficiently impressed to try and get hold of another example for tests as it was “decidedly more simple than that employed on British tanks.” The British were, however, puzzled as to why such a relatively small gun needed hydraulic traverse at all and could only conclude that, as the first vehicles were found to be lacking the system and the gun was badly out of balance, there was too much friction on the traverse mount which was not supported by roller bearings or balls. Traverse speed with the hydraulic resistance though was just over 17 degrees a second when the engine was at 1065rpm and almost exactly 13 degrees a second at 700 rpm. The choice of the Vickers-Terni 37mm gun had caused significant production problems. 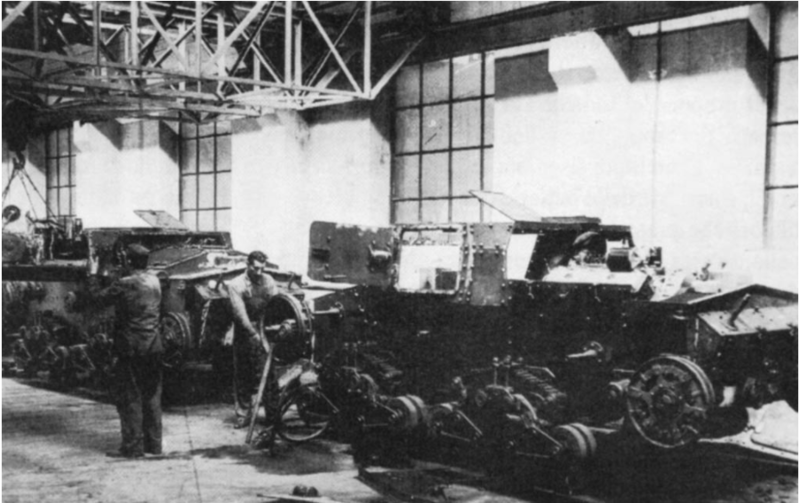 Supplies of the gun were so slow that some had to be stripped back out of the Fiat 3000’s in order to fill the order for the M.11/39’s and the comments by the British on the need for the traverse system allude to why a larger gun more than 40mm in calibre wasn’t selected, it was just too heavy to move. 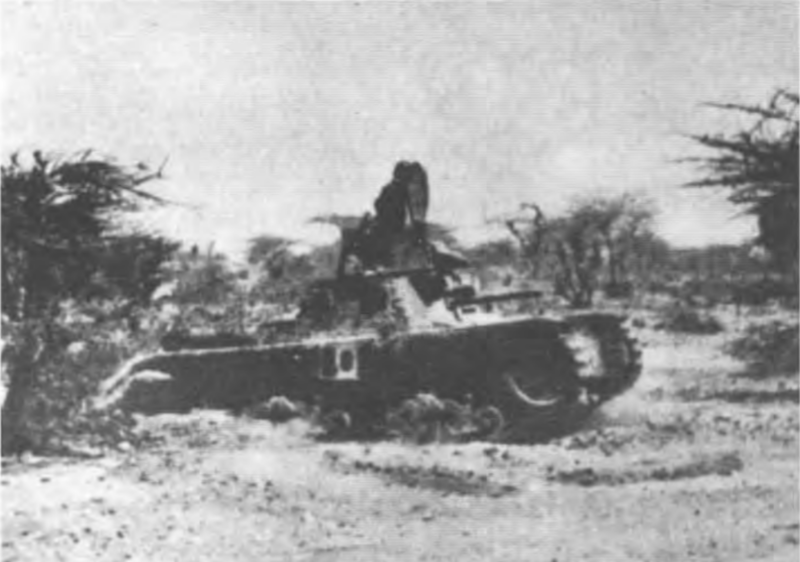 M11/39 in Eastern Africa, British Somaliland invasion, September 1940. It seems the prototypes also had a vermicelli camouflage. 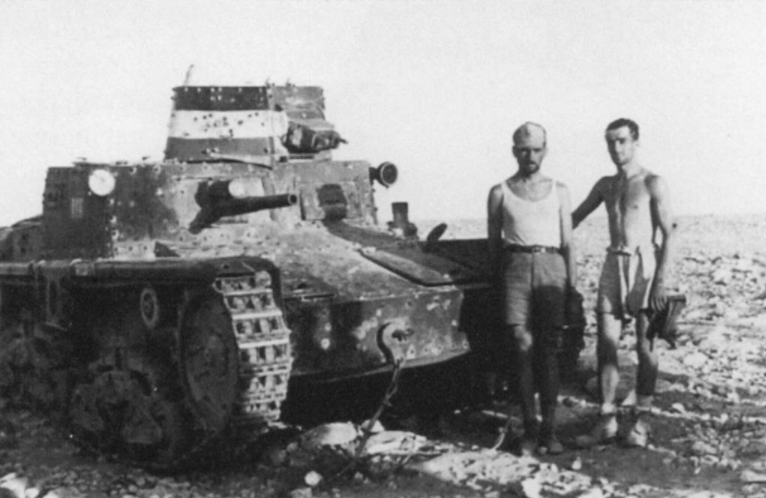 Ariete division, 4th Tank Regiment, 3rd tank of the 2nd platoon of the 1st company, Egypt, September 1940. 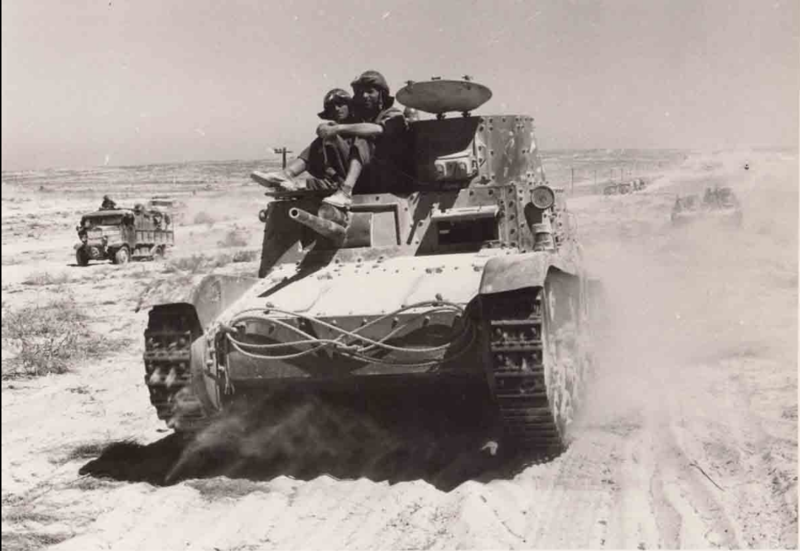 M11/39 of the 1st Armored Battalion, Ariete division, Egypt, August 1940. M11/39, Ariete Division, 32nd Tank Regiment, fourth tank of the 2nd company. Libya, 1940. A M11/39 from the 2nd Company of the 32nd Tank Regiment, Ariete division, Libya, early 1941, during Operation Compass. 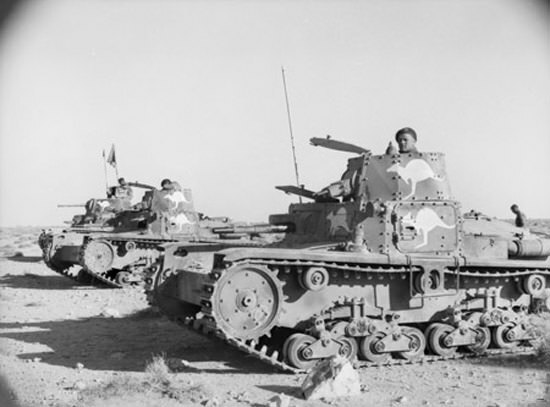 During the first stage of the war in North Africa, the British and Australians managed to push back the Regio Esercito from Egypt and launched Operation Compass in December 1940. This success was accompanied by the capture of hundreds of trucks, guns and tanks. 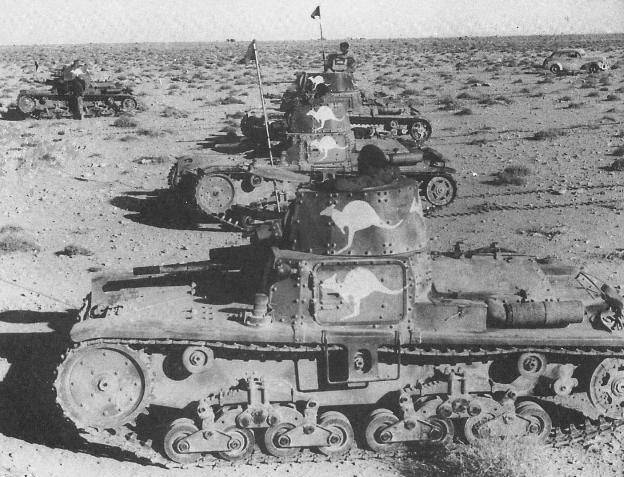 All captured M13/40s and M11/39s were taken over by the 6th Australian Division Cavalry Regiment, which painted their famous large kangaroo of the turret and hull. These fought during most of the siege of Tobruk. Of the first 96 tanks, 24 were sent to East Africa in May 1940 and a further 72 were sent to Libya arriving on the 8th and 9th July 1940. 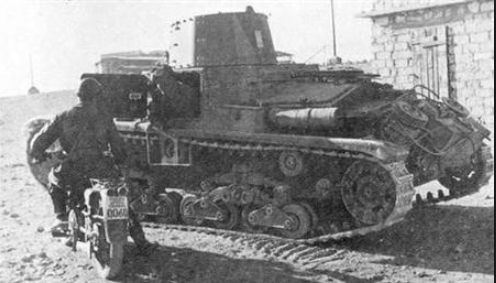 These vehicles were formed into the I and II Battaglioni Carri Medi (Medium Tank Battalions) and were first in combat there on the 5th August against the British at Sidi Azez where the Italian forces destroyed two British tanks, and captured another two in exchange for the loss of three M.11/39’s. In November 1940, at Alam el Quatrani, 5 of the 27 M.11/39’s still operational were lost trying to break out of an encirclement by British forces, being either knocked out or breaking down. Shortly after this, some vehicles which had been captured were painted with large white Kangaroos by Australian forces and pressed into service against Italian forces, at least one of which was recaptured by the original owners. The Australians pressed these vehicles into service in 3 companies named Dingo, Wombat, and Rabbit respectively. Mechanical failures were a continual problem in the desert. Long road marches and hard rocky ground combined with fine desert dust wore vehicles down quickly. 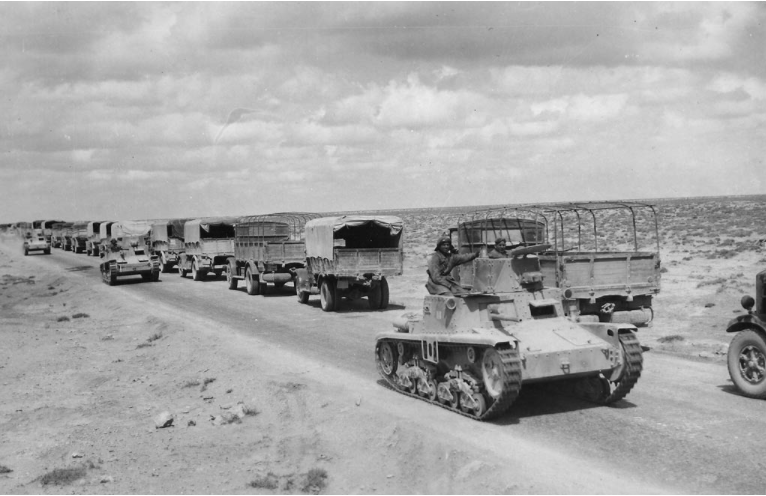 For example, deploying 39 M.11/39 tanks to the front at Tobruk entailed a 60km road march for the tanks under their own power due to a lack of transport trucks or the specifically designed trailers. As a result, only 5 got there in working order. By January 1941 though, only 5 M.11/39’s were left operational in North Africa for Italian forces and these were lost at El Adem on the 21st January. 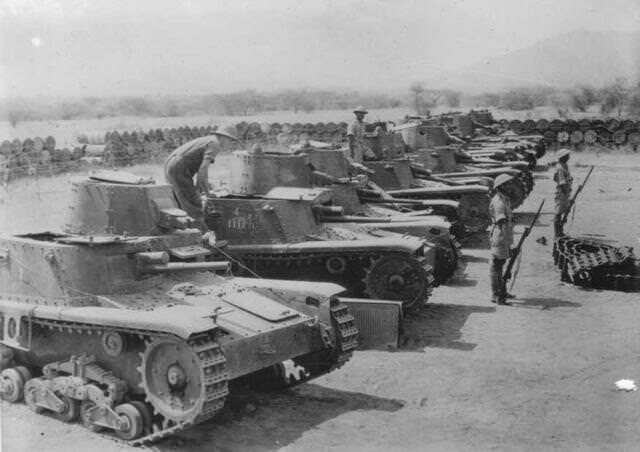 The 24 tanks sent to East Africa arrived prior to Italy’s entry into the War and were formed in two companies, 321 and 322 respectively with 12 tanks each. 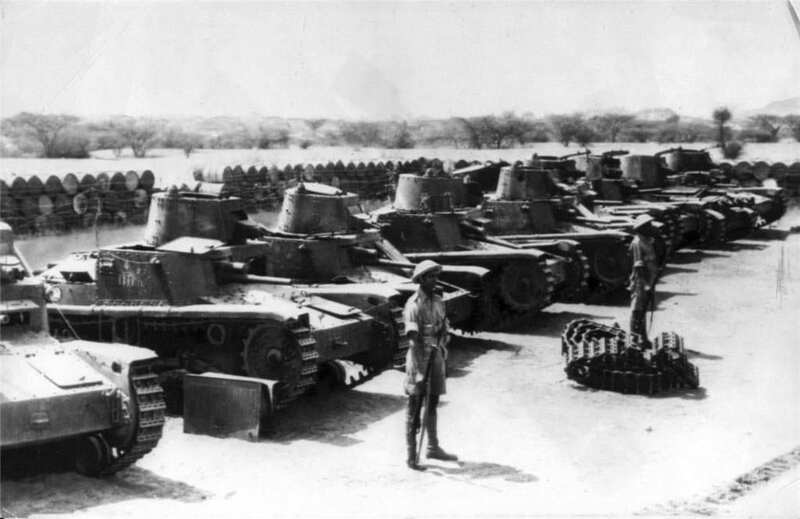 These vehicles participated in the taking of Kassala, Sudan on the 4th July 1940. Company 322’s M.11/39’s took part in the invasion of British Somaliland in August 1940 but had lost two tanks by April 1941 and was destroyed as a unit by combined British and South African forces on the 22nd May 1941. 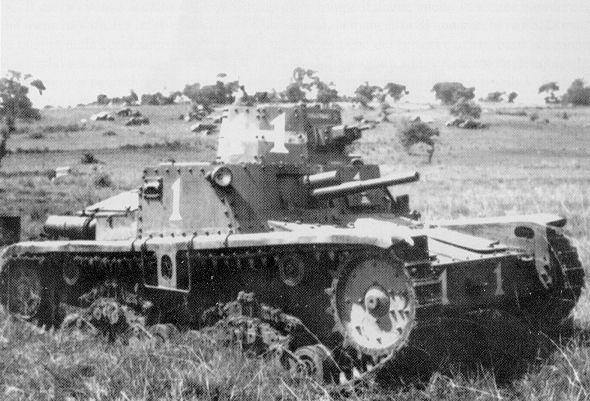 At least one M.11/39 was reused by the South Africans against Italian forces. 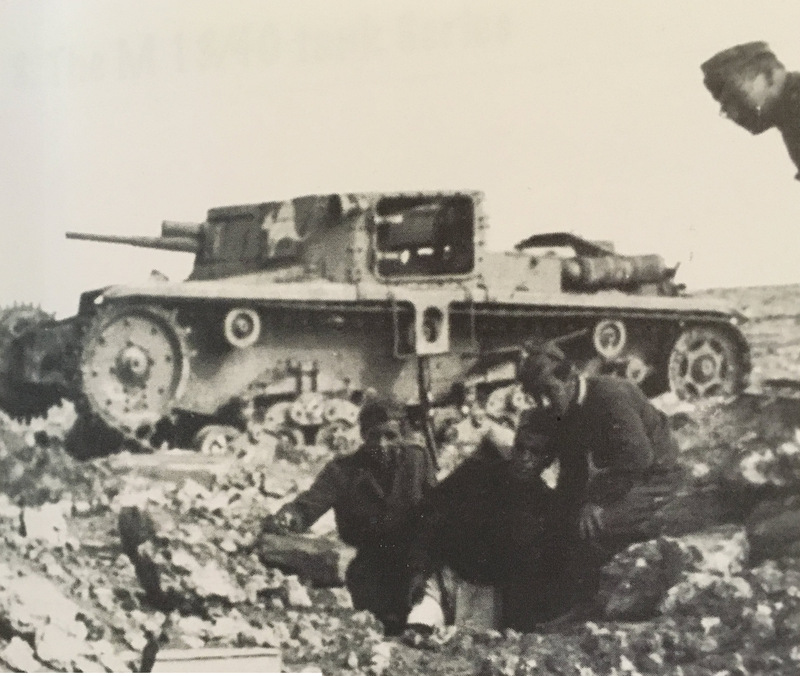 The 12 tanks of Company 321 were all lost at Agordat by the end of March 1941 meaning that, by the end May 1941, only the Allies were operating Italian M.11/39’s on the African continent. The remaining 4 M.11/39’s which had not been sent to Africa remained in Italy, 3 with the Cavalry School and one with Centro Studi ed Esperienze della Motorizzazione (CSEM) for automotive studies. M.11/39 in the hands of German Fallschirmjager troops during the seizure of Rome, September 1943. 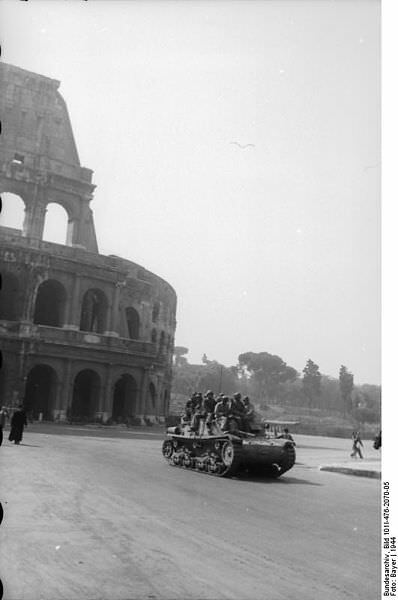 One of the four tanks which had remained in Italy is known to have been used by German forces during the seizure of Rome in September 1943. In German service, the tank, despite the few they could possibly have operated (no more than four), was known as the M11/39 734(i). One vehicle which had been retained at the Italian Cavalry School saw combat in July 1944 in mainland Italy. It was subsequently abandoned after action. 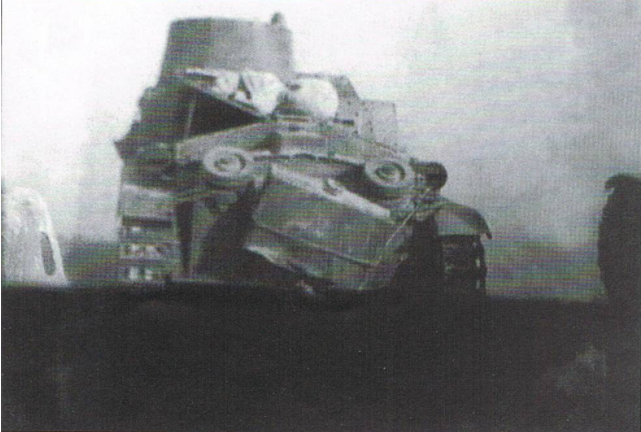 The M.11/39 was an unusual tank, placing the main armament in the hull was an easy solution to carrying a cannon on a tank but was less than ideal when it came to combat in the wide-open North African desert. The restrictions on the movement of the gun due to its location meant that despite the hydraulic system it was not going to meet the needs of the Army. 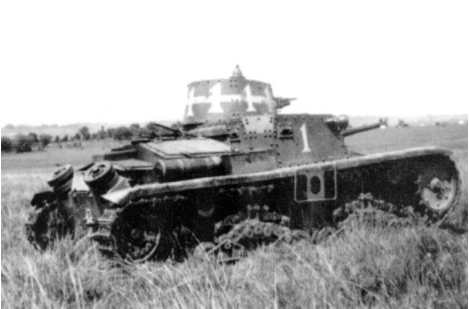 The problem of limited traverse was made worse by the lack of a common tank radio and the M.11/39 is often seen as one of the least successful tanks of World War II. Combat reports from action near Agorat by March 1941 showed it was easy to cause confusion to the crew by firing at the tank from the sides and the vulnerability from the rear due to a lack of traverse should be exploited in attacking it. 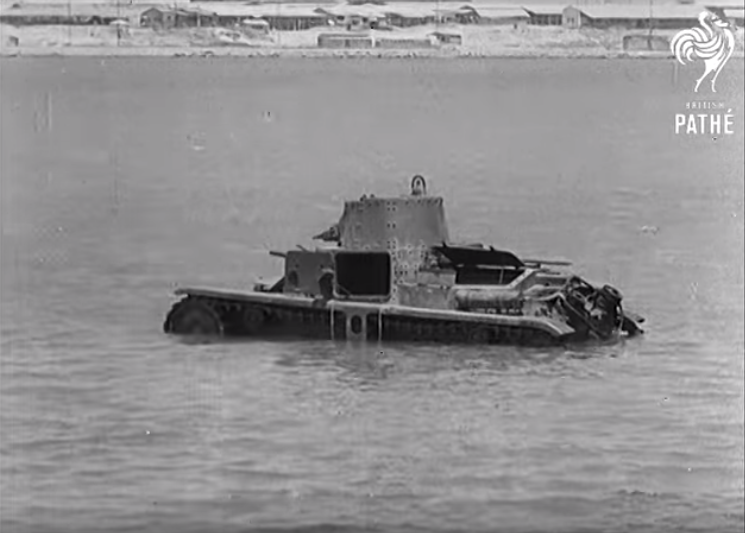 It is probably the lack of a radio which was the biggest failing of the tank, the following vehicle, the M.13/40 rectified both these problems though, a 47mm gun in the turret and a radio fitted as standard. It was ready before any further production of the M.11/39 took place and was a much more sound design than the M.11/39 although it used many of the same features. Production of the M.11/39 had ended with the delivery of the final and 100th vehicle in July 1939 although the additional production orders for more tanks given in 1938 were not formally canceled until October 1939. The more advanced M.13/40 medium tank was already available by that time and production was switched to that vehicle to meet the demands of the Italian Army. Despite one example being shipped to Great Britain for evaluation and rumors of one shipped to Australia for display, no M.11/39’s survive. Why exactly did the Aussies use captured M11? Is it because they lost a lot of their own tanks or is it something else? They suffered heavy losses and just needed more tanks.